At Enterprise we are the premier source for close tolerance quality rubber molds used in the automotive sealing industry (door, hood, trunk, and roof). The tooling shown here is a pillar mold that was machined from PX5, which is a high strength steel that is specifically designed for precision mold applications. This alloy of steel was chosen for its high quality and compliance to automotive standards. 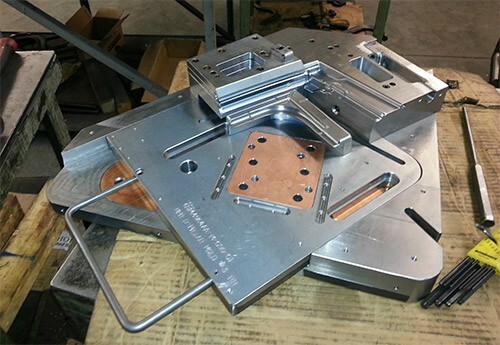 The mold was machined on wire EDM and CNC milling equipment to tolerances as tight as ±0.0001”, and measures 21.50” in length by 21.781” in width. A micro view comparator machine was used to verify conformance to all customer specifications as noted on the model and 2D CAD prints. 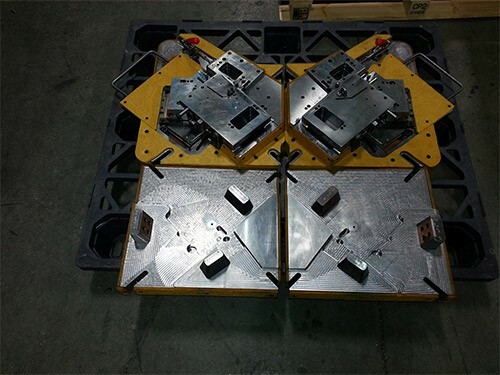 We also used an in house 30 ton rubber press to produce sample parts and trail of the molds. 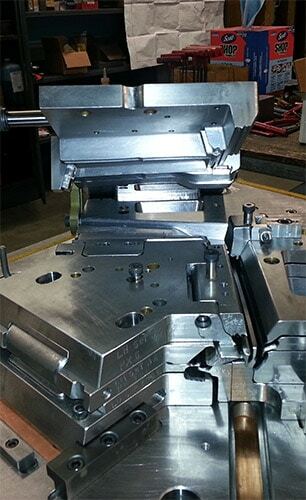 This project highlights not only our precision tooling machining capability, but our design abilities as well. We have the knowledge and experience required to design efficient tooling that meets precision tolerance requirements for a variety of applications and industries. A total of 12 pillar molds were produced for this project at a rate of two different units per month. As a result of the quality of workmanship achieved on this project, the customer has contracted to manufacture additional molds and tooling. For additional details about this custom automotive tooling project, see the table below, or contact us directly.